Social Media: Facebook, YouTube, Twitter, LinkedIn, etc. Within each of these categories, there is a lot to know. MANY ways to screw something up. The list is long. Lots to do. But when done right, any one of these can deliver results. It comes down to Market, Message, Media and Math – MATH often being the factor most misunderstood. You have to make up in QUANTITY what you lack in skill, too-broad targeting, watered-down messaging and a weak offer. That’s why spammers still exist. Despite the fact that only a teeny, tiny fraction of a percentage actually makes it through, much less gets clicked on, SOME DOES. They make up in MATH (quantity and frequency) what they screw up in too-broad targeting, poor messaging and copywriting. But if you look at the most successful companies, they aren’t just using ONE simple media to sell. They are using ALL of the media, or at least multichannel marketing. Look at Google as an example. 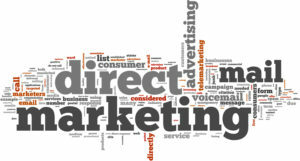 They frequently use direct mail, trade show advertising, HUMAN marketing (call centers that are essentially sales departments, as well as sales executives who sell AdWords to major accounts), distribution channels (via social media marketing companies and ad agencies) and print advertising. They ARE the social media platform, and they still use these methods of marketing. What I do for my company – and for all of you – is create integrated campaigns that use multimedia. Offline driving to online, to then follow up with e-mail, retargeting and sales calls. Or online leads generated then followed up with direct mail and telephone calls and e-mails. Essentially taking multiple lines of twine, weaving them into a strong rope. And in today’s grossly DISTRACTED environment, you must utilize multistep, multimedia marketing to generate reasonable results. It used to be we could send out a letter with a fax-back form and get responses. NOT TODAY. Even in my own business I’ve had to create a far more complicated, sophisticated approach to selling than sending out a three-step campaign as I’ve done in the past. This is happening to ALL of us – all marketers, all businesses. We live in a world of zero need. Nobody is lookin’ for you anymore. Everyone’s pretty much satiated – AND distracted by things far more interesting and entertaining to them than IT support (or marketing). So if you want more clients, the bar has been raised, the level of difficulty multiplied. When pressed, he sheepishly admitted that all he had done was send out 10 Bad Date letters in over three months. Yes, that’s an extreme example, but no worse than someone sending out 50 and expecting miracles to happen. In almost every case, getting APPOINTMENTS with qualified prospects in business-to-business REQUIRES complex, sophisticated marketing PROCESS. So how many steps are enough? The answer is as many as it takes to get the result. Variables come into play, making it impossible for a simple answer to that question: Quality and relationship with the list. The offer and copy. TIMING. Who else is talking to them? Who is the incumbent provider? Next question in line: how MANY is enough? Again, the same variables apply. It should be determined by working backwards from a goal. Two new clients a month will require eight appointments if the close rate is 25%. Eight appointments will (most likely) require at least 16 leads generated. 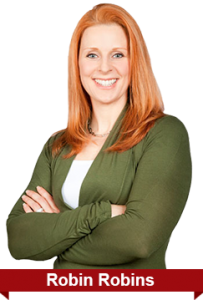 Generating 16 leads from a list of warm, prequalified UNCONVERTED LEADS may take a list of only 500 to 550 (3% response) IF the copy is powerful, the offer irresistible and the message actually delivered and read. To an ice-cold list, 16 appointments may require a reach of 3,000 (0.5% response) due to the lack of relationship. Of course, all of this REQUIRES a desire to grow. You will need help from a sharp, ambitious marketing manager. You’ll need to hire an inside sales team to follow up, work the leads, send materials, book appointments and close sales. And, you will need to hire techs so you can stop doing the IT work and focus on running the business. If this all sounds like a big, annoying, giant pain-in-the-rear, that’s because it is. Both good news and bad news. Bad news because, heck, who wants or needs more complexity and work? GOOD news because it immediately shuts down 80% or more of your competition who can’t or simply won’t do the work. Others’ sloth becomes your competitive advantage. NOTE: Complex doesn’t have to mean hard. A Tesla is pretty complex but it may be one of the easiest cars for you to drive seeing as how it practically drives itself. 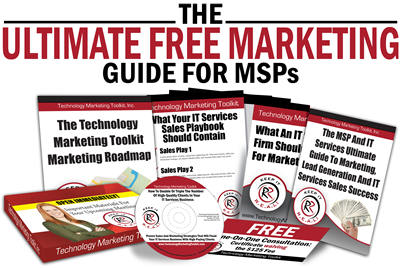 If you’re new around here and interested in working with us to put effective, complex systems into place so you can attract your ideal leads and consistently have potential clients calling you, claim your free gift, “The Ultimate Marketing System For MSPs and IT Services Starter Kit.” Click Here Now.